What does being agreeable have to do with copywriting? In my career, I’ve had a lot of ‘advice’ from well-meaning colleagues, editors and creative directors. But one piece of advice has stuck out, and it’s something that I’ve seen work time and again. It’s something that is encapsulated in the wisdom of countless copywriting books and courses. Its simplicity is brilliant, yet it is subtly deep. You see, that’s the recipe for powerful copywriting and it is actually easier to achieve than at first blush. By being agreeable and by making points that your audience agrees with, you are sowing seeds in the mind of the reader. You are like them. They are like you. You are interested in their problems. And…You have something they want. Perhaps this idea is better illustrated with a scenario. Think of someone you have met who is disagreeable. You know the person. They only talk about themselves. They are boorish. Blunt. Lacking in social skills, perhaps. They are not interested in you in conversation. And when you do get a chance to speak, they don’t appear to listen, but to wait for their chance to talk again. When your copy is all about you and how great your company/product/service/offer is, you are being that disagreeable person. That’s not a great way to sell, is it? Instead, you need to show some empathy in your copywriting. That means understanding the feelings and needs of your reader, and addressing them one by one, so that as you describe what you have on offer, you are subconsciously getting agreement with your reader. You are showing them that you are interested in their problems and want to help them. But that’s a good start. Being agreeable in your copywriting also means actually addressing the concerns your reader has (yes, they have concerns about what you have to offer) and getting them to agree with your position. There are plenty of examples of this out there. 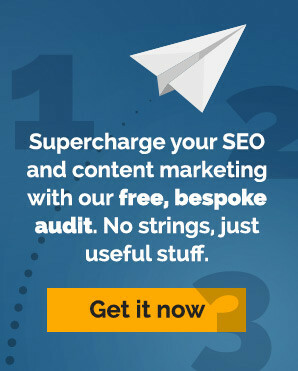 Here’s a recent example over on Econsultancy. Note that after getting the knowledgeable parent target customer nodding, the copy doesn’t just stop with the clever. It goes on to the customer-focused ‘additional product details’ section where specific concerns are addressed. Good. Now go get your prospects nodding along to your agreeable nature.